NEW BRITAIN - Every time the New Britain Bees lose a player to affiliated baseball, they manage to bring in another former big league player to replace him. That trend continued Tuesday afternoon. 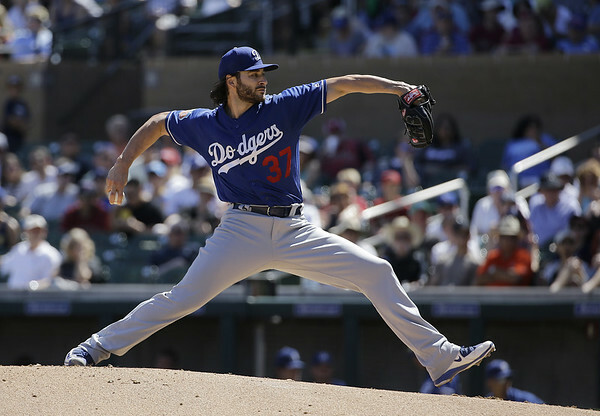 The team announced the signing of former Atlanta Braves and Los Angeles Dodgers right-hander Brandon Beachy to bolster the pitching staff with the Bees looking to make a second-half playoff push. Beachy comes to New Britain for his Atlantic League debut during his ninth year of professional baseball. But the 31-year-old has not pitched since spring training in 2016 due to elbow tendinitis, which cost him both a spot in the Dodgers rotation that season and the next two years. At the same time, Beachy does bring plenty of experience, having logged 48 starts at the major league level, 46 of those coming with the Braves from 2010-2013. His best season came in 2011 when he went 7-3 over 25 starts with a 3.68 ERA. Beachy also logged 141 2/3 innings with 169 strikeouts to 46 walks that year. He followed it up in 2012 with 13 starts and won five games with a 2.00 ERA, 68 strikeouts and a 0.98 WHIP in 81 innings of work. Beachy’s final season in the majors came in 2015 with the Dodgers. He made two starts and compiled a 7.88 ERA. Over his five-year major league career, Beachy has a 14-12 record with a 3.36 ERA and 280 strikeouts over the course of 275.2 innings pitched. Posted in New Britain Herald, New Britain Bees on Tuesday, 14 August 2018 16:09. Updated: Tuesday, 14 August 2018 16:12.